Planning on a getaway? Neda el Món suggests 3 days on board a boat to enjoy the spectacular turquoise waters of the italian island of Sardinia. The perfect combination of vacation and open water, an unforgettable experience! The SwimHolidays Maddalena pack will be 783€/pax, for the swimmers as well as for the people who go with them. It includes the journey from Barcelona, the transfers to Palau (Sardinia), three nights’ accommodation and all the meals except dinners. The journey from Barcelona to Porto Torres (Sardinia) will be by ferry. We will leave Friday night, 20th June, and come back Tuesday 24th June (daytime). In case you prefer leaving from another place Neda el Món will consider other possible options. All the trips will be organised by VIATGI. Transfers to Palau (Sardinia) by bus from Porto Torres (where the Barcelona ferry arrives). Accommodation: The first night will be on the Barcelona Sardinia ferry, the second and third nights on the sailboats hired by Neda el Món, and the fourth will be the transfer to Porto Torres. There will be double rooms, on the ferry as well as on the sailboats. NO single rooms. Meals: During the three crossing days breakfasts and lunches will be offered on the sailboats. 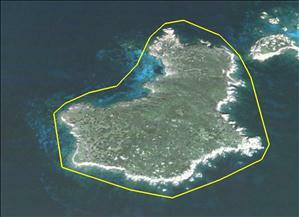 Swims: There will be three swims, surrounding three of the Maddalena archipelago isles. Swimmers will be accompanied by sailboats, motorboats and kayaks. Medical service: The sailboats will dispose of the necessary medical service in case a swimmer might need it. Insurance: All swimmers will have a Liability Insurance and an insurance against accidents.